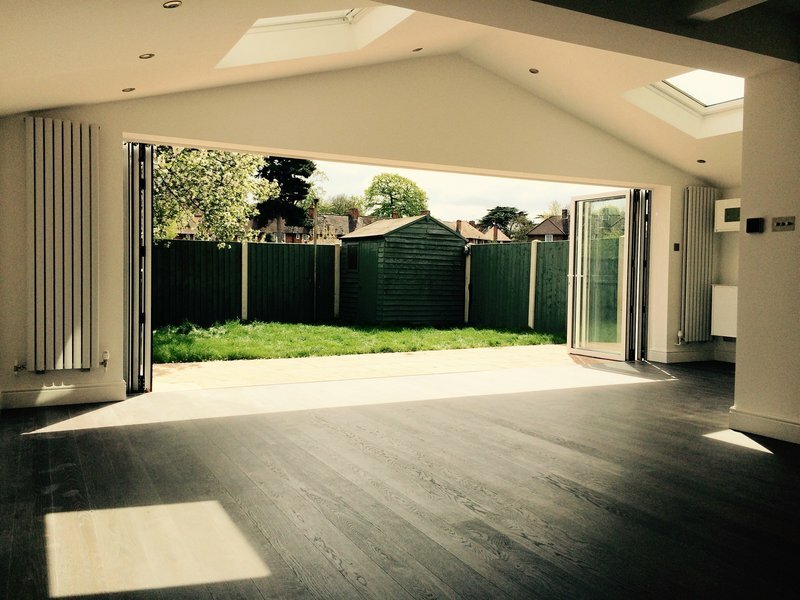 We are a qualified team of experienced tradesmen who undertake all aspects of interior and exterior renovation, decoration and building services in South West London, Surrey and surrounding areas. We set out to produce the highest quality workmanship, and pride ourselves on our friendly and reliable service. Your project can be carried out from design to Completion, without the need to contact individual tradesmen. Our attention to detail throughout the installation is paramount. The work was a small conversion of an existing cellar and we're delighted with the outcome. The team delivered on schedule and budget and we're delighted with the finish. The team turned up promptly every day and tidied up after themselves. There were no hold ups waiting for different trades, they appeared when needed. We got several quotes and Abstract were competitive, but also identified some aspects of the work that others didn't consider that have made a real difference to the finish. I was highly recommended to use Abstract by our architect for our ground floor renovations. My wife and I met Lee and we felt an instant connection. From the time the demolition team arrived to the completion of the limited snagging we had absolutely no issues with the team. Everybody was charming, caring and totally competent throughout the whole project. We stayed in the upper floors during the build and Lee and the team took great care to ensure disruption was minimised and they built a temporary front door and kitchen; dust was kept to an absolute minimum and the site was cleaned every evening and left secure. 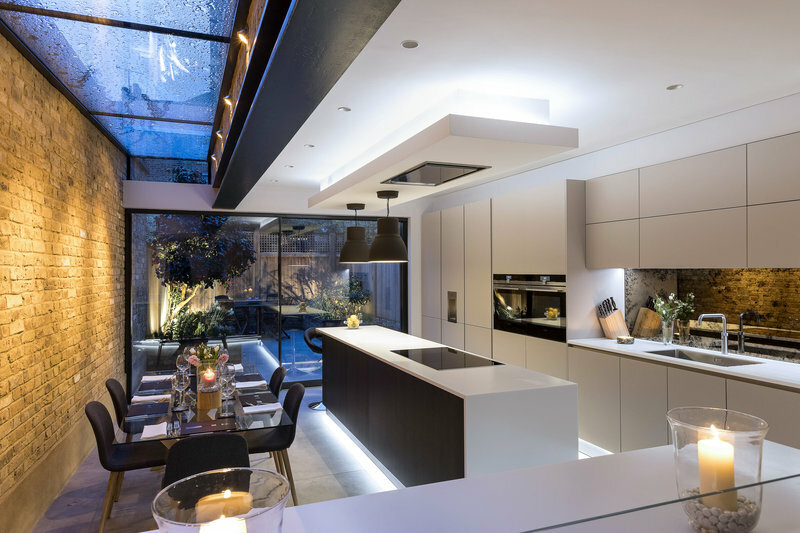 There will always be the odd unforeseen issue that arises from such a project but Lee resolved issues quickly and efficiently; in certain events he would liaise direct with us and his explanations and solutions always had our best interests at heart. Costs were controlled and we came in on budget; any additional items we wanted were discussed and priced in a fair manner. Overall they went above and beyond their remit and they all took such pride in their work which was clearly visible in the final product. We have an outstanding refurbishment and couldn’t be happier. People who’ve been to the house since have all commented of the final look and particularly the finish. A heartfelt thank you to Lee and all his team. I would strongly recommend Lee to anyone and we will hopefully have him back for our next project. 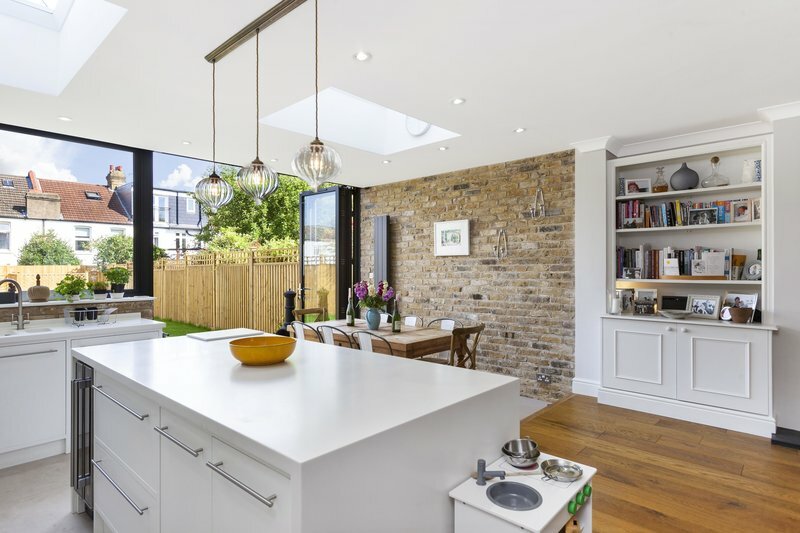 Remodelling the ground floor of a small Victorian terrace house. 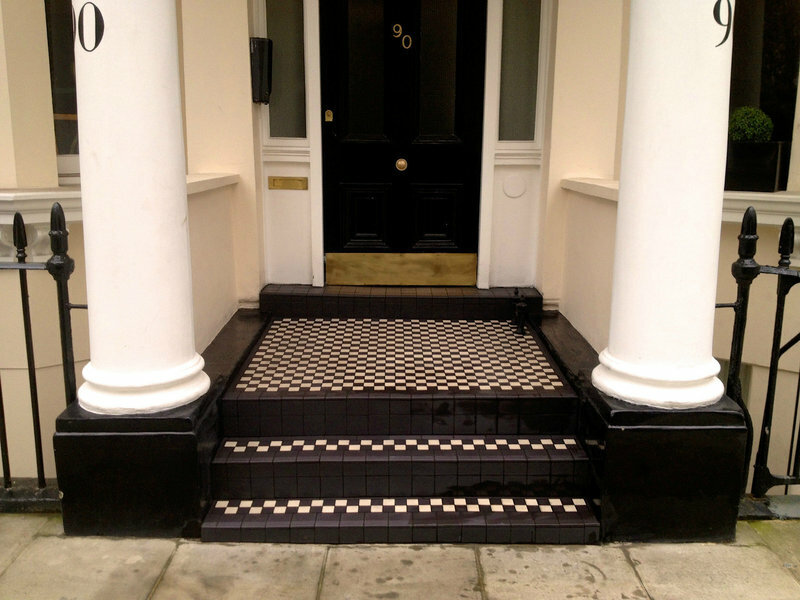 I was fortunate to have Abstract Renovations Ltd undertake the extensive remodeling of the ground floor of my Victorian terrace house. They kept to schedule and were just over budget because of the extras I got them to do. They never missed a day and work hard . I was very happy to have them in my home. Lee Stapleton was a great organiser. He seemed to always be aware of the many tasks that were being undertaken and was quick to direct the work. He set a very high standard for the work being done. He guided me to make some wise changes to the architect's plan. He went further than I expected in removing the old lath and plaster walls and ceilings so that I now have a very good framework throughout the ground floor. He used good quality material. The tradesmen employed by Lee were excellent and happy working with him. I have experienced a different situation before.. It was an ambitious plan I had and family and friends were apprehensive. It has been a very successful project. All my neighbours are full of admiration. They say my builders were great. After four months of work I am delighted to say I am more than satisfied with the work carried out. I will confidently recommend Lee Stapleton's firm and those he employs. 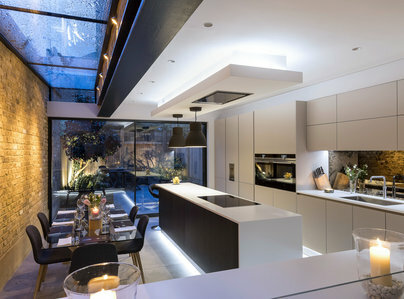 We used Abstract Renovations for our kitchen extension, bathroom work, and en-suite bathroom extension - they did an excellent job! Highly professional and reliable, we couldn't recommend them more. Everyone loves the work that has been done with lots of requests for our builders details. Extremely happy clients! We asked Lee to re-tile our kitchen based on a friend's recommendation. It was just a small job but we were delighted with the results. He was professional and courteous. His original quote was spot on and was very reasonable. The work was carried out with minimal disruption, he was tidy and did an amazing job. The kitchen looks brand new. I wouldn't hesitate to recommend Lee and his company. At every single point of the build, Abstract Renovations exceeded expectations with fantastic customer service, promptness, attention to detail, advice and build quality. Any concerns of the rogue builder can be dispelled by hiring this building firm. Thank you so much. The trader you dream of finding! I cannot recommend Lee highly enough. 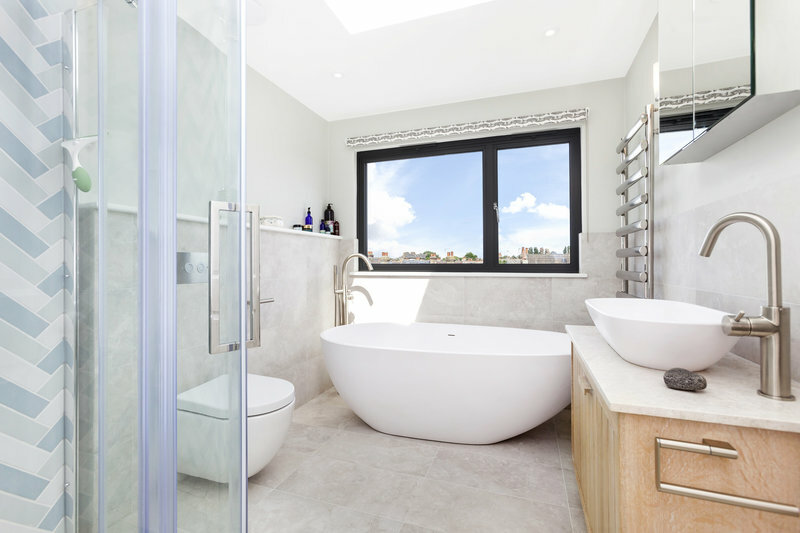 He refurbished our bathroom in late 2014 and did a great job - spot on with timescales and cost estimate, courteous and punctual, reliable and trustworthy, really helpful answering questions and offering suggestions about details of the refurbishment and we were delighted with the finished bathroom. We've since used Lee and his team for a couple of other small jobs and on every occasion have been just as pleased. We have used Lee twice now for bathroom installations. His work is always excellent and his customer service superb. I have already, and would have no hesitation again from recommending him to others. 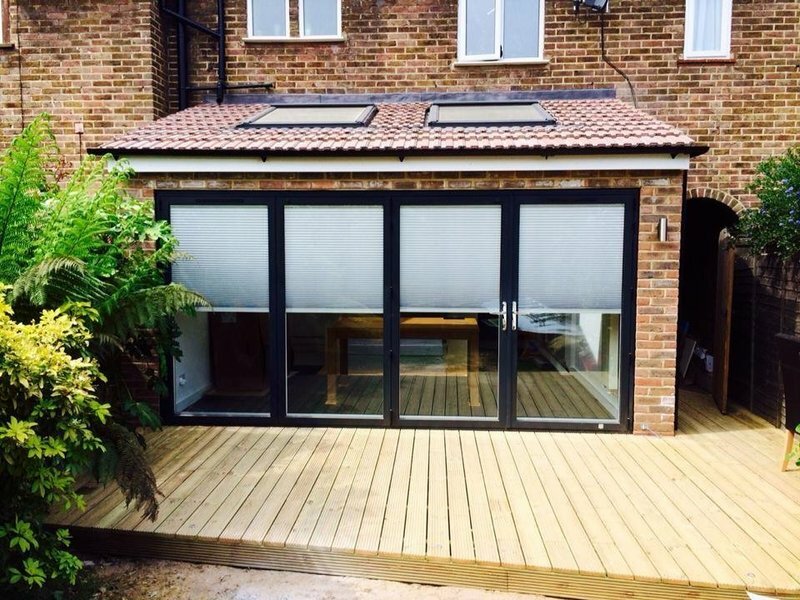 Lee and his team undertook a single storey extension, fitting a new kitchen, re-wiring, plumbing and redecorating. They were all punctual, polite and helpful and finished the job in good time and on budget. The whole project was efficiently managed from the original estimate through to completion. I cannot recommend them highly enough.